The Beaufort jacket features Sylkoil fabric with Classic Tartan lining. Coat arrived a little late due to supply problems with Barbour but the quality and overall fir is excellent. Barbour waxed jackets do require a certain amount of maintenance. If well looked after, jackets have been known to give 30 years and more of good service. You will need Barbour Thornproof Dressing to treat your coat and help maintain it's waterproof qualities. A leaflet detailing full care instructions for cleaning and rewaxing your Barbour are included with every jacket.,If you want a hood for this jacket you should choose the 'Barbour Classic Sylkoil Hood' in Mediumweight,The Barbour Classic Beaufort should not be confused with the Barbour Beaufort jacket (although it very often is!). The Classic Beaufort jacket is constructed from Sylkoil which has a matt finish and is more flexible than traditional waxed cotton. The Barbour Beaufort is constructed from traditional waxed cotton. This tends to have a shinier appearance and is slightly stiffer. Both jackets are cut to the same pattern and have very similar qualities in terms of waterproofness and durability.,The Barbour Classic Beaufort Jacket is a mid length Sylkoil Jacket. 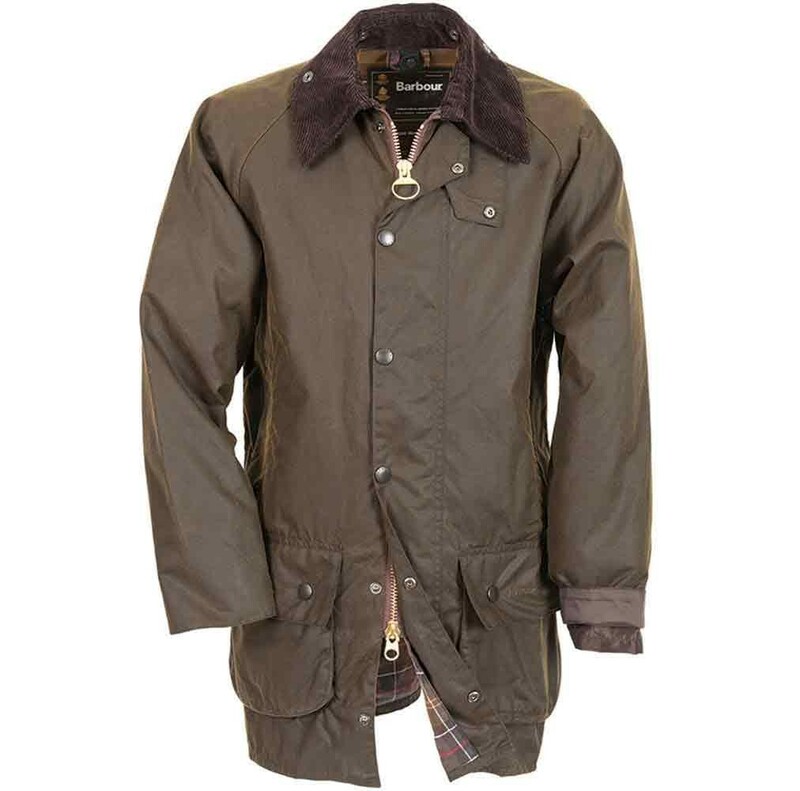 The shorter version of this Barbour coat is called the Classic Bedale Jacket. The longer version is called the Classic Northumbria Jacket.,If you want a liner for this jacket you should either take the 'Barbour Zip In Warm Pile Lining' or the 'Barbour Quilted Waistcoat / Zip In Lining' in Olive (Classic Tartan). Select the same size as your jacket.